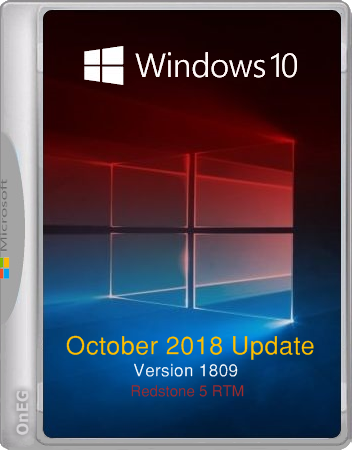 The original images of Windows 10 October 2018 Update (version 1809) Redstone 5 RTM Build 10.0.17763.1.rs5 release.180914-1434. 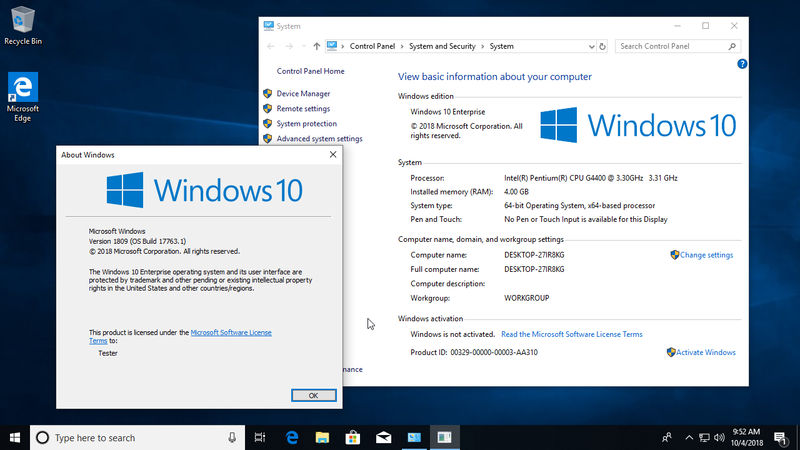 Windows 10 (version 1809) is a major feature update, which became officially available on October 2, 2018 under the name Windows October 10, 2018 Update. The Mail application will ignore the default browser. Windows Defender becomes a Windows Security application. Windows will predict the best time to reboot. GVLK keys for KMS are integrated into the business_edition image edition. In editions of consumer_edition images, the standard installation keys are. Windows 10 Pro N for Workstations Thanks to Wzor, adguard, DiamondMonday.